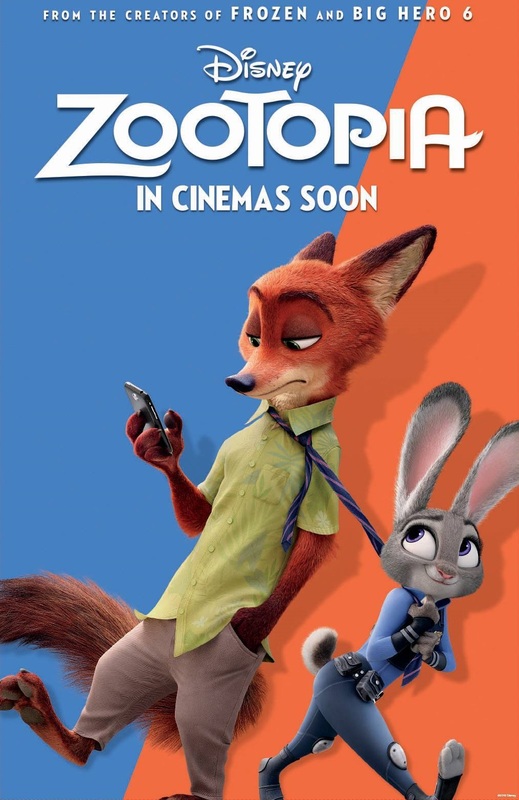 Zootopia, the latest blockbuster animation from Disney has taken the US box office by storm last week, it tops the box office chart with a whopping US$75.1 million opening week. I just catch the movie yesterday and I can understand why... it is so popular in both reviews and box office. Zootopia is trying to bring across a serious adult themes (stereotyping vs dreams) in a delightful and fun way. It is a fast moving movie with great plot and a twist at the end too. All in all, I must say that Disney DID IT again with flying color! "Bunny can never be a police officer"
"Fox is cunning, by nature"
"Predatory animals has it in their DNA that one day they will turn predators"
These are just some of the stereotypes and prejudices that we, as human being, tends to fall into the similar trap against each other, from generations to generations. It is a timely wake-up call, not for the kids but for the adults (so that the kids can learn the correct values from them). It is one of the must watch animation of the year and a great family movie to consider for the school holidays.